MIAMI (June 11, 2018) – Endeavor Miami announced today that A.J. Nahmad and Anabel Perez have joined Endeavor Miami’s Board of Directors. Nahmad currently serves as president of Watsco, the largest distributor of air conditioning, heating and refrigeration equipment in the HVAC/R industry. Perez, founder and CEO of NovoPayment, a FinTech company with more than a decade of successful deployments throughout the Americas, was selected as an Endeavor Entrepreneur in 2014. From left: Daniel Echavarria, Adriana Cisneros, A.J. Nahmad, Anabel Pérez, Matt Haggman and Ernest Bachrach. Nahmad joined Watsco in 2005 and served as the director of global business development, and as vice-president of strategy and innovation until his election as president in 2016. He has also been a member of Watsco’s Board of Directors since November 2011. He leads the company’s mission to enhance profits via strategic technology initiatives and technology-enabled new ventures. Perez’s company, NovoPayment, enables digital financial and transactional services via a cloud-based, bank-grade platform that supports varied mass payout and cash-in services. 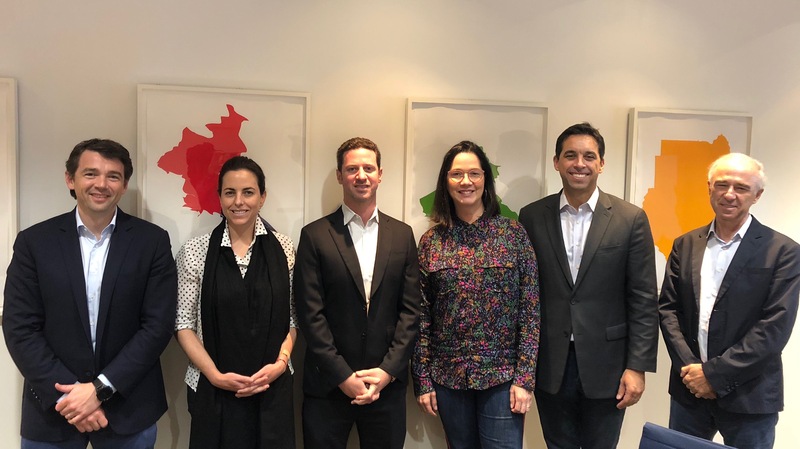 Under her leadership, NovoPayment has expanded its reach to five countries and today has more than 72 deployments, touching more than 10,000 corporate platform users across the Americas. Endeavor is a non-profit organization that supports high-impact entrepreneurs around the world in order to transform economies on a local and global scale. Having launched its operation in September 2013 as the first U.S. affiliate of Endeavor Global, Endeavor Miami possesses an active local board of business leaders that believe high-impact entrepreneurship can transform Miami. Endeavor Miami’s objective is to accelerate the growth of high-impact entrepreneurs through access to mentors, talent, capital and markets. Endeavor Miami currently supports 19 companies and 32 entrepreneurs from diverse industries that will impact the South Florida economy through job creation and economic opportunities as they scale.